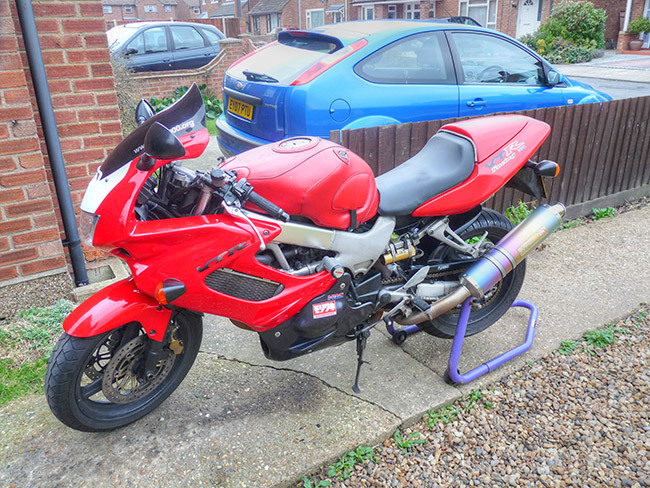 So I've fitted the Top Yokes kit and Renthal Ultra Low Superbike bars to my 2006 F6 Storm. 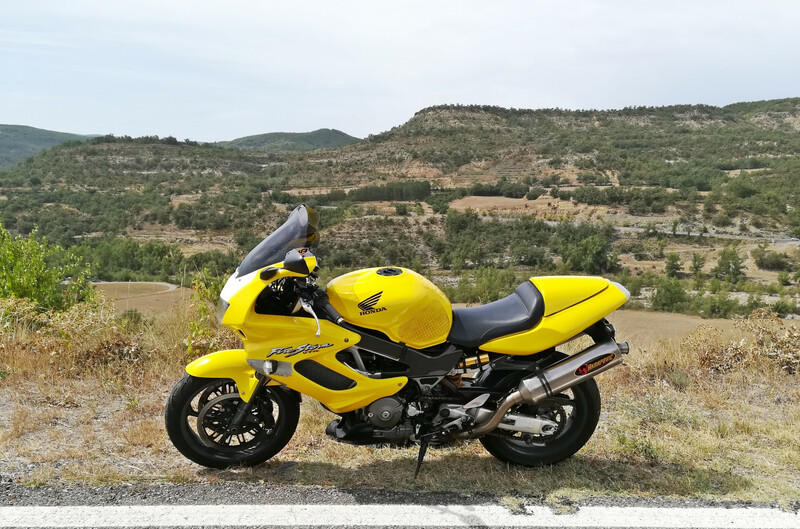 The good news is the riding position has been transformed, the bike is much more fun a low speeds and the bars are very well damped - no nasty vibes. Later type rectangular clutch reservoir just touches trimmed fairing on lock so a little more worked needed. It's all very tight, but didn't need to extend horn cable. The bad news is that I did a 3500 klm run and came home with a noticable high frequency hearing loss, from wind noise. I use a Shark full face helmet which has always been a bit noisy, but I really need to redirect airflow. Now I realise this is going to be a bit subjective, but which after market screen works best? I'm 6'1". 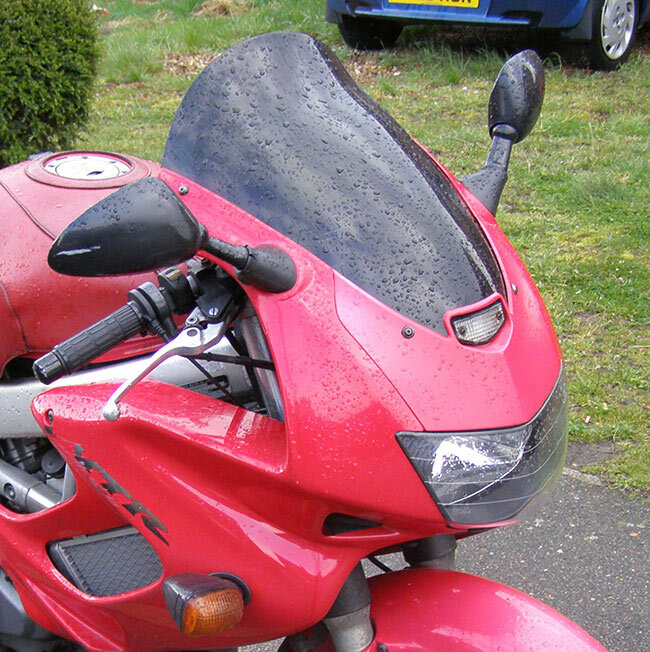 I'm thinking either a MRA Motorcycle Touring Screen or a MRA X-Creen Sport XCSA Universal Adjustable Spoiler. Really not pretty, but hearing is more important. 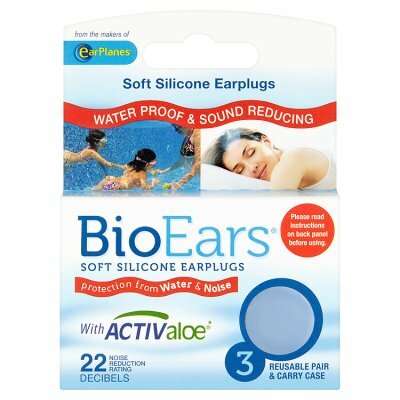 BTW I hate wearing ear plugs (always seem to lose them and they muffle the sound of my lovely Staintune "silencers"!) and never found them necessary with standard setup. I am aware that screens have been discussed on the forum, but wind noise hasn't been mentioned much. All recommendations appreciated! having tried many types of screen, I found the best for deflecting wind is the MRA touring screen, not that pretty, but certainly effective. as for wind noise, i'd suggest quality ear plugs. I've been riding with them for years now. I recently bought a set of mugig ear plugs, very good, they allow some sound through, but remove the harsh sounds. How old are you? If you don't wear ear protection high frequency wind noise will make you partially deaf. Fact. Try different plugs but get ones you can live with. You lose the high frequencies first. You can still hear your exhaust but you can't understand what people are saying. Trust me, I know. These plugs have a little fillter in them & you can have a decent conversation whilst wearing them, fully reusable & you get two sizes in the pack, most comfy plugs I've ever used. Fits around the base of your lid & basicaly keeps the wind out. I use one all the time, can be a bit of a tight fit when new but you soon get used to it. It makes it very quiet & as a bonus makes the helmet more stable at speed. I first got one as the helmet I had at the time...KBC IIRC would move about at anything over 70mph ( on private roads of course) fitted this & it stopped it. Thanks for the advice and links guys. I have trouble getting ear plugs to fit and stay in as I have narrow ear canals. I've always had very good hearing up to now, even though I'm ancient, but the damage has been done. I'll have to try some different plugs until I get it right. The MRA X Screen Sport adjustable screen/spoiler may help as you'd hope the variety of settings would make a difference. Hi MacV2. Just had a look at the Windjammer Proline and it seems like a great idea. I haven't seen this before. The concern I have here in QLD is how hot it might get. Riding in 32C heat with 80% humidity in summer is not unusual (but always uncomfortable at slow speeds) and I usually wear a mesh textile jacket with vents to keep a little cooler. The Shark helmet has vents but if air can't easily get out due to the Windjammer it might get even hotter! Have you ever used the Windjammer in a warm climate? I am your height and also have the flat bars fitted, I tried to stay with the better looking double bubble screens, but the extra protection from the MRA flip screen makes live 10 times more comfortable. Re. screens you'll need to experiment to find something that works with your height & helmet variables. I'm 5' 10" and this M&P flip-up screen works for me. The foam ones (yellow and orange below) are OK but many people don't know how to use them. They need to be squidged as thin as a matchstick, stuck in the ear canal and allowed to expand. Weird feeling. They work quite well though. Chuck them away when they get dirty which will be very quickly. The green soft silicone ones get pushed in (with a bit of spit as a lube). They are the most effective. Due to years of cold water diving I have restricted ear canals but they still work very well for me but become uncomfortable after a while when I have a tight helmet on. Easy to wash if you want to reuse them. The moulded ones are expensive, I paid over a hundred notes, but they are the most comfortable. Not quite as effective as the green silicone mushrooms but my go-to for long runs. Whatever you do, use something. Hi KermitLeFrog. 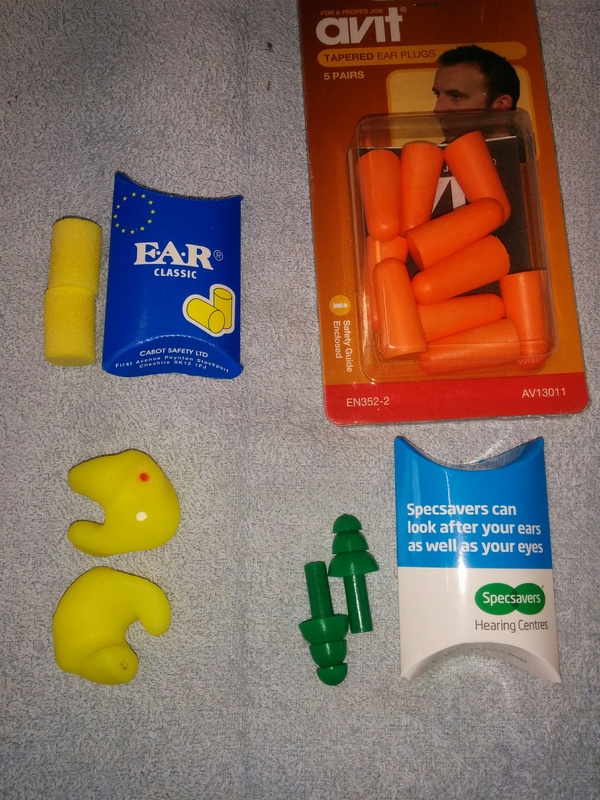 Thanks for advice re ear plugs. I don't think I've been using the correct technique for the foam plugs. I'll experiment some more. Stupid things always seem to fall out. Interesting that cold water diving has narrowed your ear canals - I've heard that is a problem for surfers in cold parts of Oz (Victoria, Tassie). Strange though after all these years of listening to loud music without noticable damage that a long bike ride with a different riding position can b*gger your hearing. Hi Wicky and AMCQ46. Thanks for the advice about the Flip Screen. I knew somebody about my height would know about this! And I do remember how bloody wet and cold UK is, even though i've been here for 25 years. I was just wondering if anyone had been touring to, say, the Med and used a Windjammer? maybe not the prettiest screen, but the MRA touring screen does a great job, I've also had the same flip screen as wicky in the past, also a good screen. for me it's down to the three issues. yes a wind jammer can help, but it gets in the way of an intercom if you use one, and I ride in a hot country and I wouldn't want to use one when the temps are high. do a online search for the quietest crash helmets on the market. I think my next lid will be a shoei, had one years ago and they're real quality, my current hjc is useless.